Sometimes it’s hard to let go of your vanity for your health. Giving up antiperspirant was a huge challenge for me. I didn’t want to stink. Yet at the same time, I also didn’t want to sweat. The thing is though, we’re supposed to sweat. And clogging up your pores with sketchy ingredients and chemicals can be highly detrimental to your health – especially if you already have health issues. I’m pretty sure that my quest for better health would have taken me a lot longer to start had it not been for the fibro. Chronic pain has a way of forcing you to search for answers that modern medicine seems to only want to treat the symptoms. The better option, I’ve found, is to start by first rooting out the underlying cause. As a result of being diagnosed with fibromyalgia, I took the initiative to dig up alternative information to take charge of my health after I realized the medications I was being prescribed were actually making me more sensitive to pain over time. My goal was to completely come off the daily medications that did more harm than good. Through my journey for answers I learned how to improve my gut health and eat better. These things in tandem with reducing stress, changing emotional responses and purging unhealthy skin care products from my life made all the difference. So now I sweat. And I’m ok with that. Because not only am I conquering my health goals, I’m conquering life. Are you ready to join me on this journey? 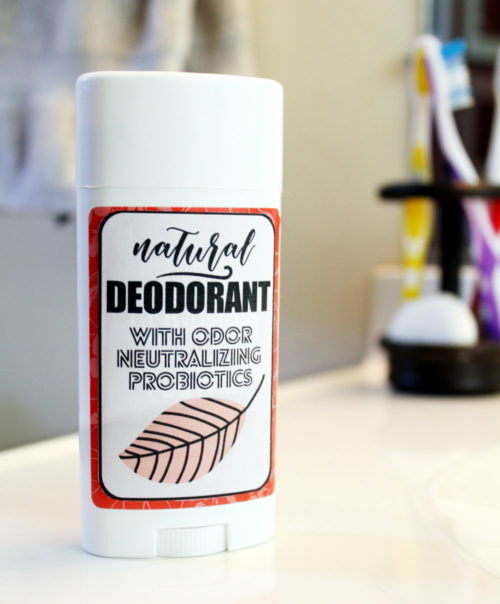 If switching to a natural deodorant sounds good to you, but you aren’t yet ready to dive into the whole DIY thing, then I highly recommend Schmidt’s Sensitive Skin Deodorant. 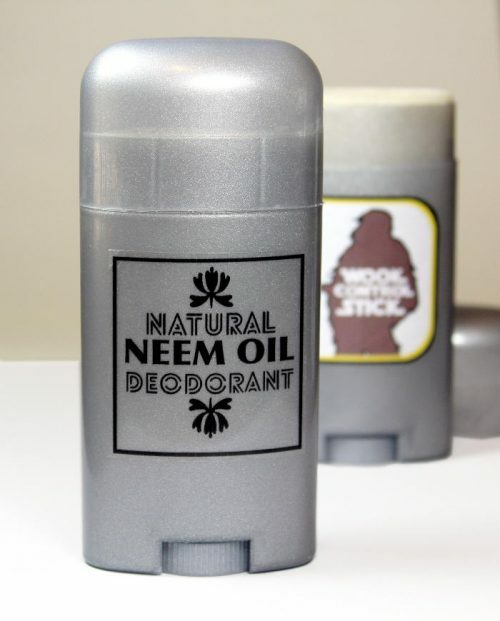 I use their deodorant if I run out of my own deodorant that I make myself. 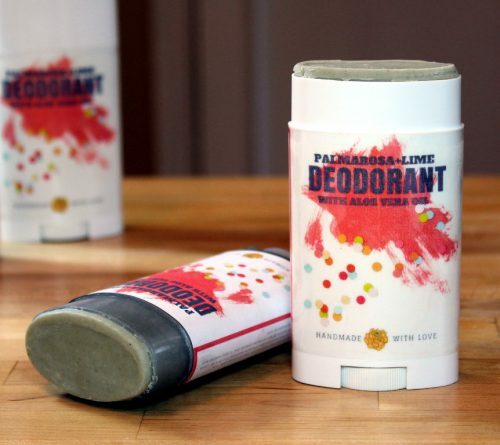 Otherwise, you’ll find my natural sensitive skin deodorant recipe below. 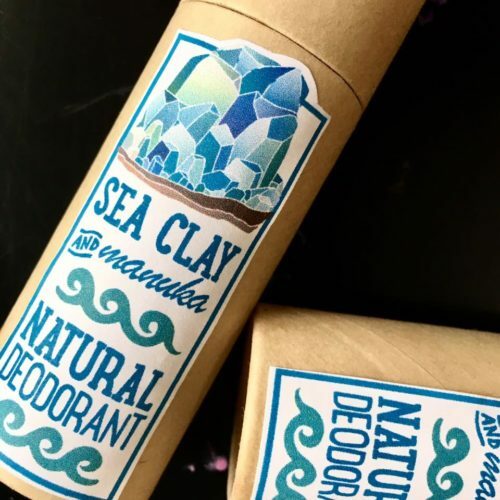 Crafted using magnesium hydroxide for its deodorizing properties, my sensitive skin deodorant recipe also contains arrowroot powder and Fuller’s Earth clay to help absorb excess wetness. The addition of probiotics then additionally helps to destroy odors caused by bad bacteria by contributing to the biodiversity and strength of your skin microbiome. You’ll need a digital scale to weigh all of the ingredients for my sensitive skin deodorant recipe, except for the beeswax pastilles and probiotics. You will need a teaspoon measuring spoon to measure out the wax. For the probiotics, simply cut open three capsules and use the probiotics inside. Begin by weighing out the cocoa butter and shea butter into a large glass Pyrex measuring cup or glass bowl. Next, measure out a level teaspoon of the beeswax pastilles and add it to your container. Melt these ingredients either in a microwave at 30% power or a double boiler until melted. While the deodorant mixture is still hot, weigh out and stir in the arrowroot powder, Fuller’s Earth clay and magnesium hydroxide. Mix well to combine. Follow with the essential oil, if using, and stir it into the deodorant mixture until thoroughly incorporated. 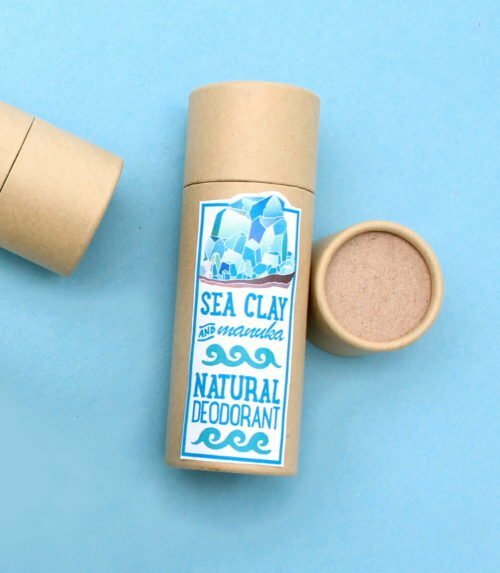 Finally, pour your sensitive skin deodorant into your desired containers of choice. You can use either empty deodorant containers or jars. Once the deodorant sets up, it’s ready to use! 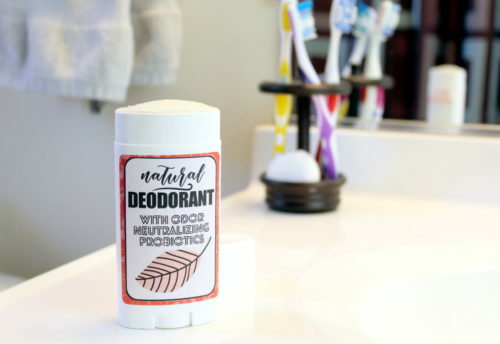 If you’d like to try some of my other natural deodorant recipes, you can find my entire collection of deodorant recipes here. You may also enjoy my collection of witch hazel skin care recipes. For more of my beauty and skin care recipes, be sure to follow Soap Deli News across all of your favorite social media platforms! You can find and follow me G+, Facebook, Twitter, Blog Lovin’, and Instagram as well as subscribe to Soap Deli News via email for future updates, DIY projects and recipes. And, if you make homemade soaps or bath & body products, I’d love to see them! Simply add the hashtag #soapdelishowoff to your instagram posts! Whether you prefer a stick or a cream deodorant, this versatile lavender bergamot deodorant recipe with French green clay offers some of the best wetness and odor protection yet! And it’s completely 100% natural. I’ve accumulated quite the stash of lifestyle and beauty tips over the past several decades. Like retinol will clear up your hormonal acne at any age and flossing can not only prevent a receding gum line, but also stop it in its tracks. But I’ve also learned that antiperspirant will, over time, make you both sweat and stink more. When you then also compound this with the other potentially harmful ingredients found in some brands of antiperspirants. These ingredients include triclosan which can disrupt hormones and environmental estrogen like BHT and parabens. And over time it’s possible that these ingredients can lead to health problems. While there’s no definitive research that can state absolutely that these ingredients – which are used well outside of moderation – do cause health problems as components of antiperspirants, there’s also no research that proves it doesn’t. And as time passes and we learn more about how the products we use can affect our bodies, it may be time to err on the side of caution. 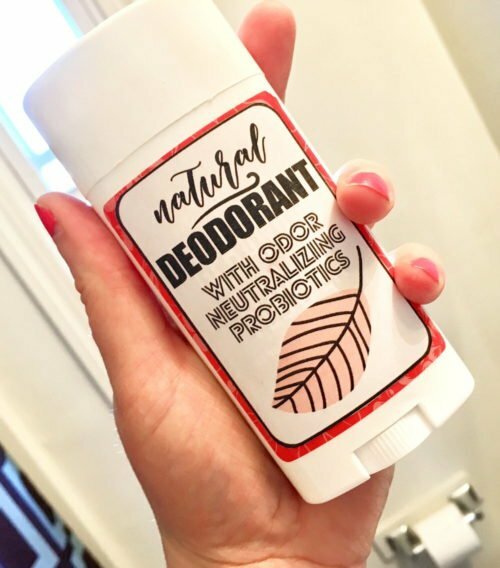 Having personally made the switch from an antiperspirant to using my own homemade deodorant recipe over a year ago, I can say I will never go back. Not only do I stink less now than I did when I used antiperspirants, I also sweat less. And as someone who suffers from fibromyalgia, I also FEEL better the majority of the time. However, because I am who I am, whenever I run out of my current batch of deodorant I come up with an entirely new recipe. Because, hey. Why not? Life’s short. Mix it up. Yada yada yada. Doesn’t matter. 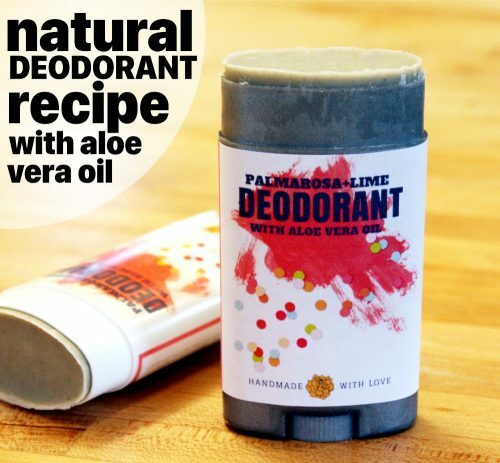 What this means for you, is every few months I throw out a new natural deodorant recipe for you to try. So there you go. My latest and greatest is a lavender bergamot deodorant recipe. It contains my staple ingredients like arrowroot powder and magnesium hydroxide, but omits coconut oil which has a tendency to clog pores due to its high non-comedogenic rating. As a twist, I also included French green clay in my lavender bergamot deodorant recipe. And instead of my usual candelilla or carnauba wax, I used beeswax instead. The bonus? This recipe works as a cream deodorant in a jar or as a stick deodorant in a tube. 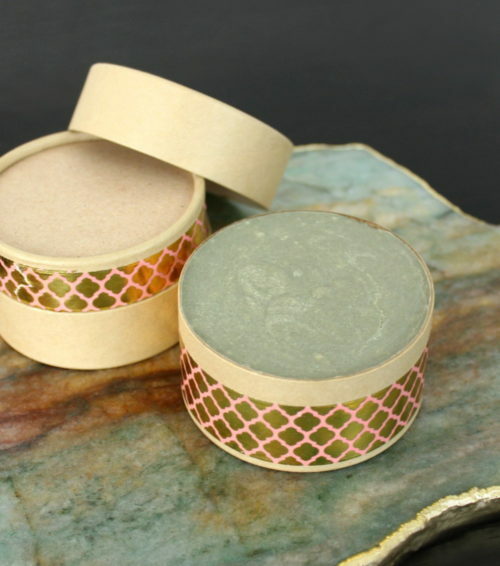 Why Do You Use French Green Clay? 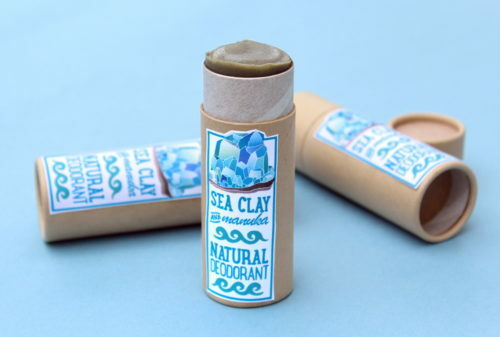 French green clay, sometimes also called sea clay, is made up of micro molecules that are able to “drink” oils, impurities and even toxic substances from your skin. (Kind of like activated charcoal but without the mess.) 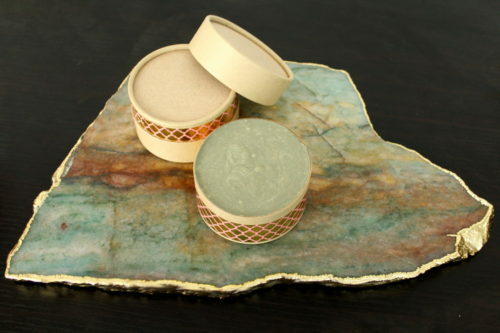 Commonly used to fight and prevent acne in addition to routine weekly face masks, this light green clay is naturally rich in minerals and is valued for its toning properties. 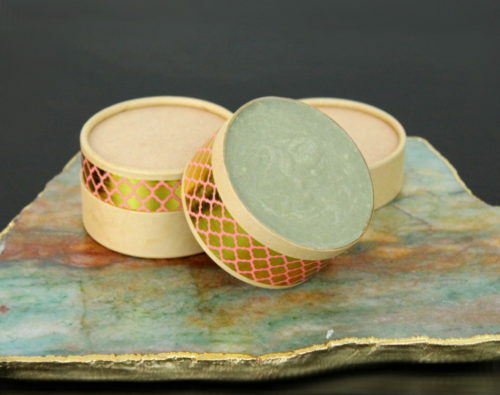 Even more interesting is that French green clay obtains its light green color from naturally occurring iron oxide and decomposed plant material – the same life cycle that the earth uses to regenerate herself. In turn, its soft texture and elemental composition lends itself well to a variety of skin care preparations. While it’s a common misconception that all French green clay comes from France (it does not) I specifically used the French green clay sold by Mountain Rose Herbs. 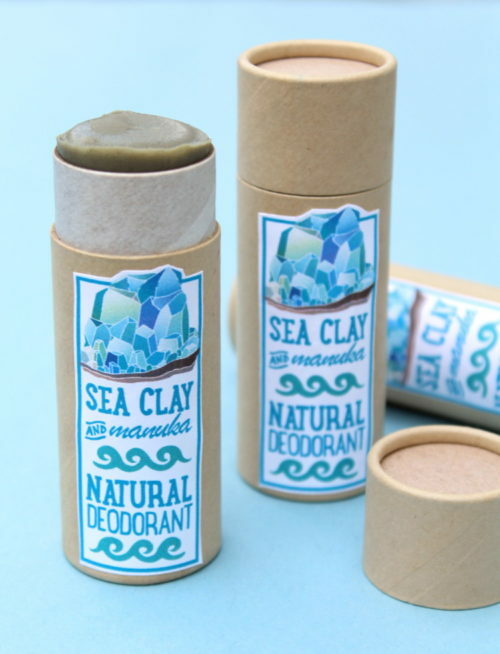 Their untreated French green clay is specifically quarry mined from naturally occurring deposits in France and makes a lovely addition to this natural deodorant recipe. You’ll need a digital scale to weigh all of the ingredients for my lavender bergamot deodorant recipe, except for the beeswax pastilles. You will need a teaspoon measuring spoon to measure out the wax. While the lavender bergamot deodorant mixture is still hot, weigh out and stir in the arrowroot powder, French green clay and magnesium hydroxide. Mix well to combine. Then follow with the essential oils, weighing out the amounts first, then stir them into the deodorant mixture until thoroughly incorporated. 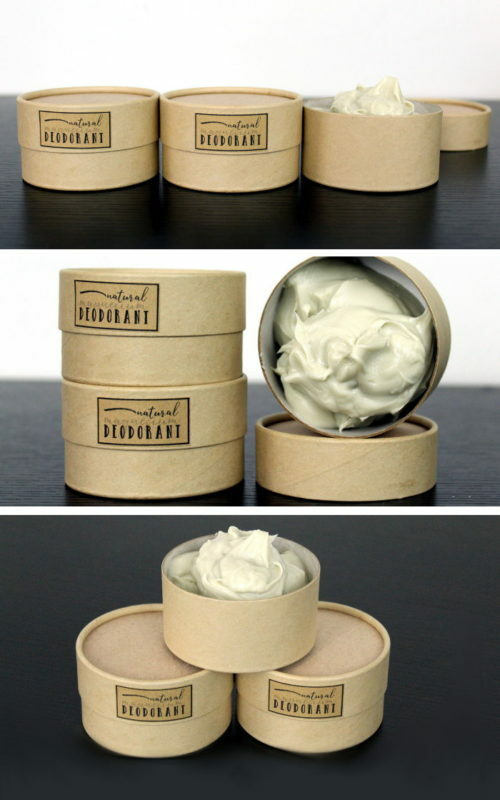 Finally, pour your lavender bergamot deodorant into your desired containers of choice. I used 4 oz. paperboard containers for mine. These eco-friendly paperboard jars are renewable, recyclable, compostable, and biodegradable. They also have an oil resistant paper barrier so they work well with products such as lip balms, salves, deodorants and even body butters. 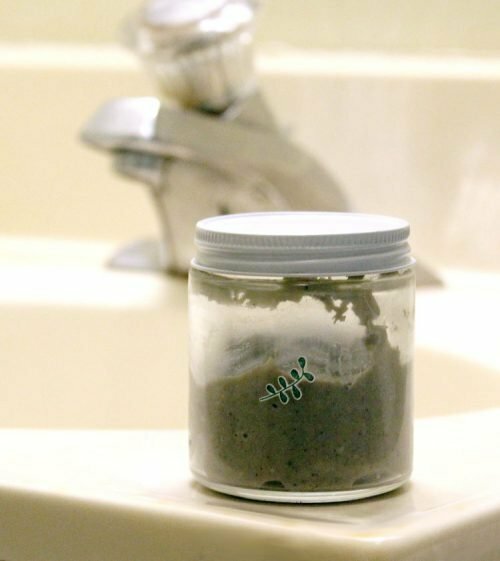 You can purchase these eco-friendly jars in bulk from SKS Bottle & Packaging here. Another alternative is to pour these into empty deodorant tubes. 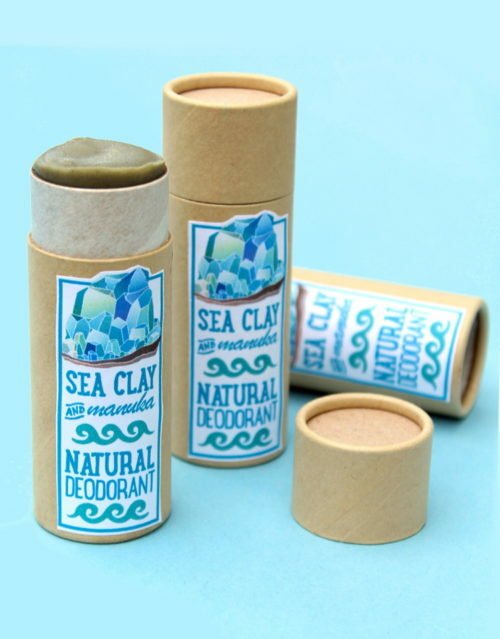 Allow your deodorant to cool and solidify, then cap and label as desired for personal use or gifting. If you’d like to recreate my lavender bergamot deodorant recipe to sell, then you’ll need to follow good manufacturing practices (GMP) when making your product. You’ll find that the book, Good Manufacturing Practices for Soap and Cosmetic Handcrafters by Marie Gale, is a valuable resource if you’re just getting started making your own homemade soaps, skin care products and cosmetics. 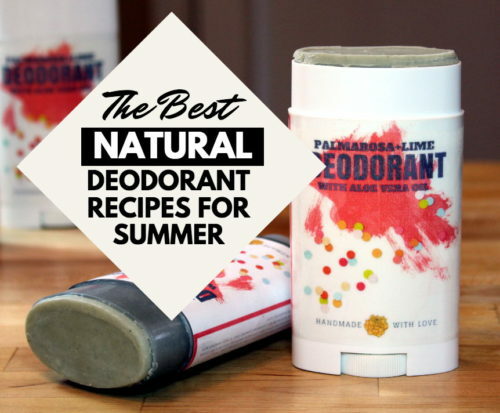 If you enjoyed my lavender bergamot deodorant recipe, then you may also enjoy my other natural deodorant recipes as well. For even more great bath, body and skin care recipes be sure to check out my boards on Pinterest. You can also follow me via your favorite social media platforms including G+, Tumblr, Facebook, Twitter, Blog Lovin’, and Instagram. Or subscribe to Soap Deli News via email for future updates, DIY projects and recipes.